Sofia is the capital and largest city in Bulgaria and is located in the west of the country. 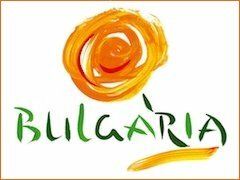 Bulgaria is situated in the center of the Balkan Peninsula, thus is an important tourist, corporate and transport location for the region. This strategically important city, traces the path of ancient, medieval and modern history and shows them to the world with a culture and style of its own. There are so many impressive and historically important buildings and architecture, that it is hard to know where to start, but St Sophia Basilica has to be a good way. It is located in the center of the main necropolis of the ancient Roman town of Serdica and has structures dated back to the 2nd century. It is also on the site of a Christian church built in the first quarter of the 4th century. Its underground museum holds so many amazing treasures; from walls belonging to 4 previous churches build throughout the ages, to burial tombs, gold rings, murals, glass and writings. Directly behind St Sopia Basilica is the spectacular looking Alexander Nevski Cathedral, which was named after the patron saint of Tsar Alexander ll. This building dates back to 1882 and was constructed in a Neo Byzantine style, which was typical for Russian churches of that period. If you think the exterior is impressive, the interior is even better, with its five aisles and three alters. It also contains work by the greatest artists of the time, who created stained glass, venetian mosaics, onyx columns and murals, that befit such a spectator building. A short walk away is St George Rotunda, which is a charming round church and is Sofia’s oldest preserved building, which dates back to the 4th century and has three layers of frescoes, the oldest being the face of a flying angel. There are a multitude other religious buildings around the city and are from different believes and cultures, which gives the city the reputation of great ‘community integration and tolerance’. The city prides itself on the art and culture side of its make-up and has many places to visit to prove this; Ivan Vazov National Theatre, National Opera and Ballet of Bulgaria, National Palace of Culture, National Art Gallery, National Art Gallery for Foreign Art, National Historical and Archaeological Museums and many more. The great thing about Sofia is that although it is busy capital European city it has a lot of green areas, so visitors are never far from a park or square to relax in, such as Borisova Gradina, which is in the center itself. There is also the Southern, Western and Northern Parks too. The Vitosha Nature Park, is the oldest national park in the whole of the Balkans and covers 266 square kilometres. It stretchers from the city up into the Vitosha Mountain and is a very popular place for walkers, hikers, cyclists, naturists and even skiers in the winter. Sofia is fast becoming a shopping destination, due to it large array of streets that are lined with Brand Names and Designer Labels. The main street is Vitosha Boulevard and this attracts the majority of visitors, as it is a long street in the middle of the city and gives access to a multitude of side streets that also have shops, malls and outlets. Some of the most popular other locations are; Tzum, Sofia Ring Mall, Serdika Centre, The Mall, Paradise Centre, Park Centre Sofia etc. The city is a vibrant place during the day and night, as there are cafes, bars and restaurants on virtually every city center street. 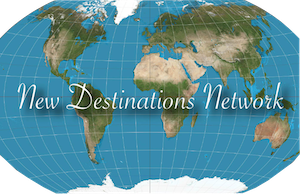 There is traditional, high class and worldwide food available, so visitors from any part of the globe will be able to get a taste of home or maybe more importantly, from anywhere else on the planet? There are many types of accommodation in Sofia, from hostels to 5 Star Hotels, so it is advised to choose one as close to the main attractions and center as possible? 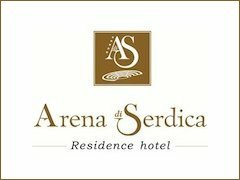 For this particular reason and the fact that it is an extremely modern and styling hotel, Arena di Serdica is considered as being one of the best places in Sofia. An added bonus for when staying in this great hotel is that it has a gym and spa facilities, plus the very unique feature of an Ancient Roman Amphitheatre in its basement (and that cannot be said for many other hotels in the world?). The city is a place to eat, drink and explore, but Winery Tours are becoming very popular in Bulgarian, as the wine industry is now well established in the world market. It’s not only the wine tasting that is good, it’s the history of each Winery, plus the buildings, scenery, methods used and some traditional food as well. 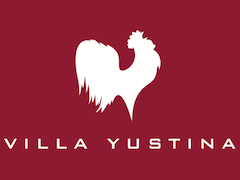 One of the best in the region is Villa Yustina, which has a beautiful countryside vineyard, professionally run winery and a great wine tasting experience too. Sofia is a modern European city, but also has many historical, cultural and religious venues that link it with the past in a clever way. The manner in which the city integrates past and future, makes it easy to explore both, unlike many destinations where visitors have to travel to the ‘old town’ or ‘new quarter’. 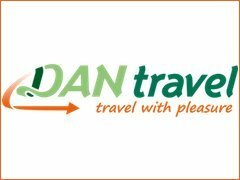 Due to the layout of the city, visitors can tour the city with just the use of a map or guide, without the need of paying for a guide (but for the ones who want to know more in-depth information about the city, there are many tour guides and companies in the city). Sofia is a great place to visit, as tourist can turn it into whatever type of experience they want, as there is so much to do in and around the city! The moto is simple – ‘Experience Sofia and make your own experience’.